Volleyball and Military Honored During Game, View Pictures Below. LAS CRUCES, N.M. – The New Mexico State men’s basketball team broke a two-game losing streak in Western Athletic Conference play after defeating the Texas-Pan American Broncs, 90-78, Saturday night, Jan. 25, inside the Pan American Center. The Aggies overcame a slow start to improve to 15-7 overall and 4-2 in WAC play. UTPA falls to 6-15 and 2-4 in the WAC. NM State junior guard Daniel Mullings had a career-night as he went over the 30-point mark for the first time in his Aggie career. NM State’s leading scorer finished with 32 points on 9-of-15 shooting from the field and 13-of-15 from the free-throw line. Not to be outdone, center Tshilidzi Nephawe also marked a career-high. The Aggie big man finished with a game-high 14 rebounds, the most he’s had in a game while at NM State. Nephawe also scored 14 points for a team-leading sixth double-double. A couple of other Aggies also contributed with double-figure points. Senior forward Renaldo Dixon put in 15 points while junior guard DK Eldridge added another 14. NM State shot 56.9 percent from the field (29-51) while holding the Broncs to 45.8 percent (27-of-59). The Aggies made 3-of-8 from beyond the arc during both halves to finish 6-of-16 for the game, a 37.5 shooting percentage from 3-point range. NM State also shot 14 more free throws than the Broncs, finishing at 76.5 percent from the charity stripe (26-of-34). UTPA came out hot, especially from beyond the arc, making its first-two 3-pointers to take an early 10-2 lead. The Aggies got a three of their own from senior Kevin Aronis to cut the lead in half with 17:32 left in the first half. The Broncs quickly responded and extended their lead to double figures at 17-5 with just over 16 minutes left in the half, but NM State also had an answer. Over the next five-plus minutes, the Aggies went on a 12-2 run, including three-consecutive dunks by three different NM State players, first by Eldridge on a fast break and then by Nephawe and Dixon in the paint. After a couple of Mullings’ free throws, the UTPA lead was down to a couple of points, 19-17, with 10:37 left in the half. The Aggies fully erased the lead after two more Mullings’ free throws tied the game at 23 with 8:40 left in the first half. Just over a minute later, NM State took its first lead after two free throws by Eldridge. The Aggies held on to the lead over the final seven minutes of the half, extending it to as much as nine with under two minutes left. The Broncs, however, marked the final six points of the half, cutting the Aggie lead to three, 49-46, at halftime. NM State outshot UTPA from the field, 65.2 percent (15-23) to 51.7 percent (15-29), but the Broncs stayed in the game by shooting 71.4 percent from 3-point range (5-7) and 84.6 percent from the free-throw line (11-13). The Aggies finished the half at 37.5 percent from beyond the arc (3-8) and 76.2 percent from the charity stripe (16-21). Mullings went 2-3 from the floor and a perfect 8-8 from the line to lead NM State with 12 points in the half. Nephawe was right behind with 10 points and almost had his double-double in the first half, finishing with nine rebounds to lead the Aggies. Six-straight points by NM State to open the second half, including consecutive posterizing dunks by Mullings and Eldridge, once again stretched the lead to nine and forced a UTPA timeout with 17:33 left in the match. Eldridge and Mullings combined once again, this time by nailing consecutive threes, to finish an Aggie 12-2 run during the first four minutes of the second half. The run gave NM State it first double-digit lead of the game, 61-48. The Aggies never looked back, as they would maintain their double-digit lead throughout the next 11 minutes plus, leading by as many as 15. UTPA finally cut the lead to single digits on two free throws with 4:18 left. NM State still led, 77-68, heading into the under-four media timeout. The Broncs would get as close as eight points in the final minutes, but it was too little, too late. Fittingly, good free throw shooting by Mullings and a powerful slam dunk by Nephawe ended any hopes of a UTPA comeback as NM State closed out the game, 90-78. 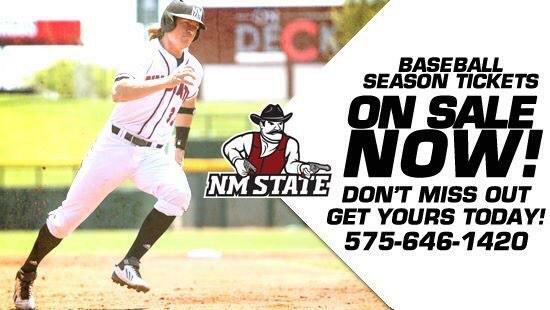 The Aggies continue their three-game home stand next week with a couple of match ups. NM State welcomes Bakersfield to the Pan American Center on Thursday, Jan. 30, and Utah Valley on Saturday, Feb. 1. Both games are slated for a 7 p.m. (MT) start. NMSU Men's Basketball Reunion January 30th - Fenruary 1st. Find out more Here.